To the audience, you are both expert mind readers! An amazing deck that allows you to perform what can only be described as "impossible" card effects. Read their minds! Spectator is able to shuffle the cards. Mind reading is just one of many effects possible with this legendary deck. 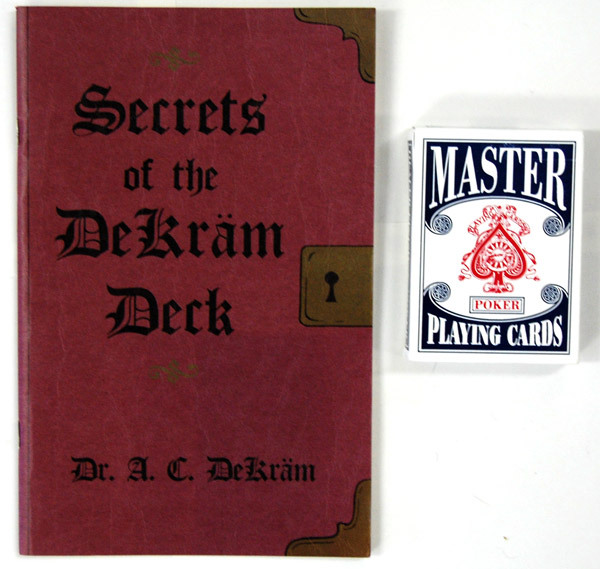 Comes complete with an instruction booklet, and special deck of cards. 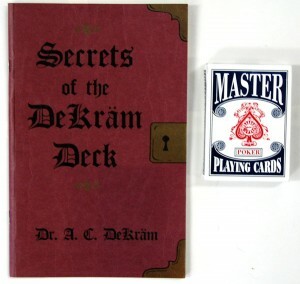 A must-have for any card worker.